T-shirts with printed on them print is one of the most common types of clothing, and no wonder. Each t-shirt reflects the personality of its owner. 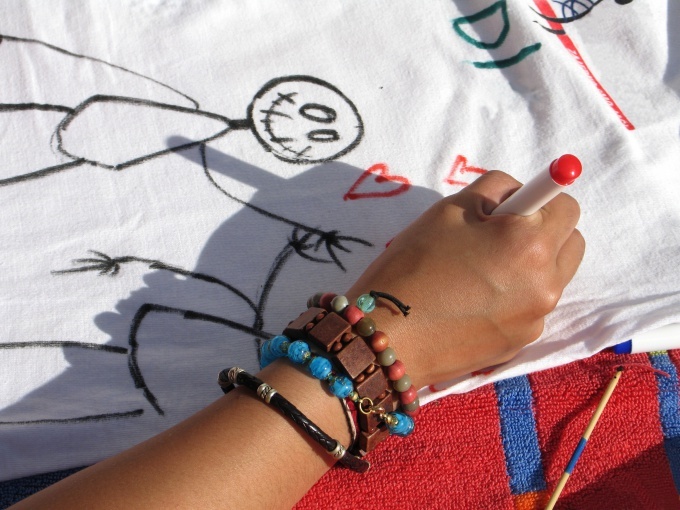 You can buy a t-shirt with a pattern that you like, and you can order it from drawing, and drawing to choose their own. How to print on t-shirt – this question is of interest to many. Someone wants to make one shirt for myself, and someone to open the own production of t-shirts. If you plan to print on shirts the same pattern in large quantities, in most cases, using the method of screen printing. Silk screen printing is printing using a stencil, while the shirt appears bright and clear picture. Screen printing gives the most intense colour, as on a shirt to apply a large layer of paint. When you need especially high quality, and the volumes are assumed to be small, the best way to put picture on the shirt is thermal transfer. The fabric is transferred thin vinyl film with a pattern. Under the influence of high temperature (about 200 degrees Celsius) film is embedded into the fabric, so the image appears to be high quality and durable. The highest quality printing on t-shirt gives a method of sublimation. However, sublimation has an important disadvantage. Using this method, you can print the designs on light fabrics. The quality of the transferred pattern leaves no doubt – when applied, uses two effects, first, the temperature (present 160 degrees Celsius), and secondly, chemical – special sublimation inks react. This image doesn't disappear either after washing or after a long use. In fact, the lifespan of printed images is equal to the lifetime of the product. If you need to get a large batch of t-shirts with quality print at a relatively low price – choose the method of screen printing. It's great quality, quick results, small cost. If, however, you need to make only one or two t-shirts, it is best to use a thermal transfer method. Sublimation is a method that will provide the greatest quality and the durability of the picture.